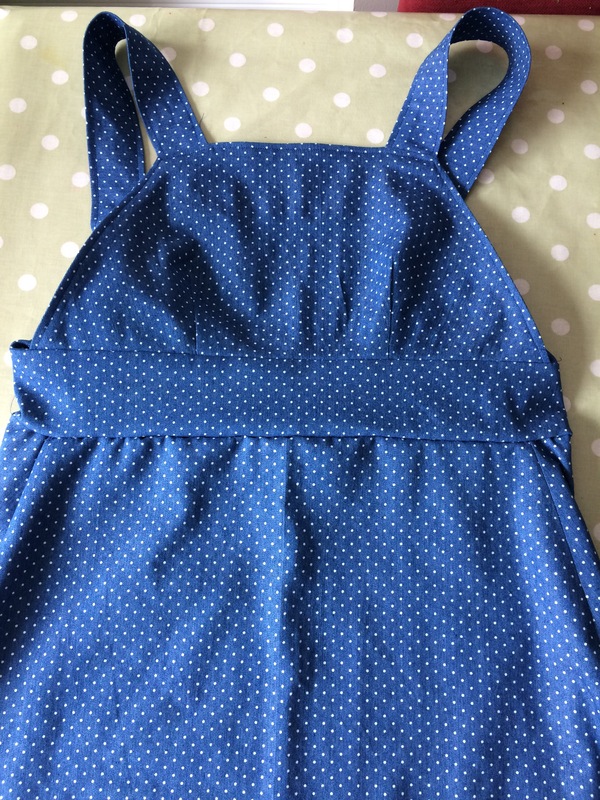 Not a great picture but I’m really pleased at how the dots match up and run down the front of the dress 🙂 It was worth taking the time cutting out the fabric. The sewing machine has been back to the shop and was fixed in a couple of hours. I managed to keep the issue and anxiety of taking it back to a minimum and only had a couple of nights where it interrupted my sleep. Hopefully driving up and down the road numerous times where I got a speeding ticket last year will help my irrational fear of being caught again (even though I’m mega careful about driving under the speed limit now). It’s great being in my head!